10,000 Hours is a new DiOversity program designed for current and former improv students who are looking to build their improv skills without breaking their budget. Practice sessions are led by coaches who donate their time in support of building a diverse improv community through the art of improv comedy. 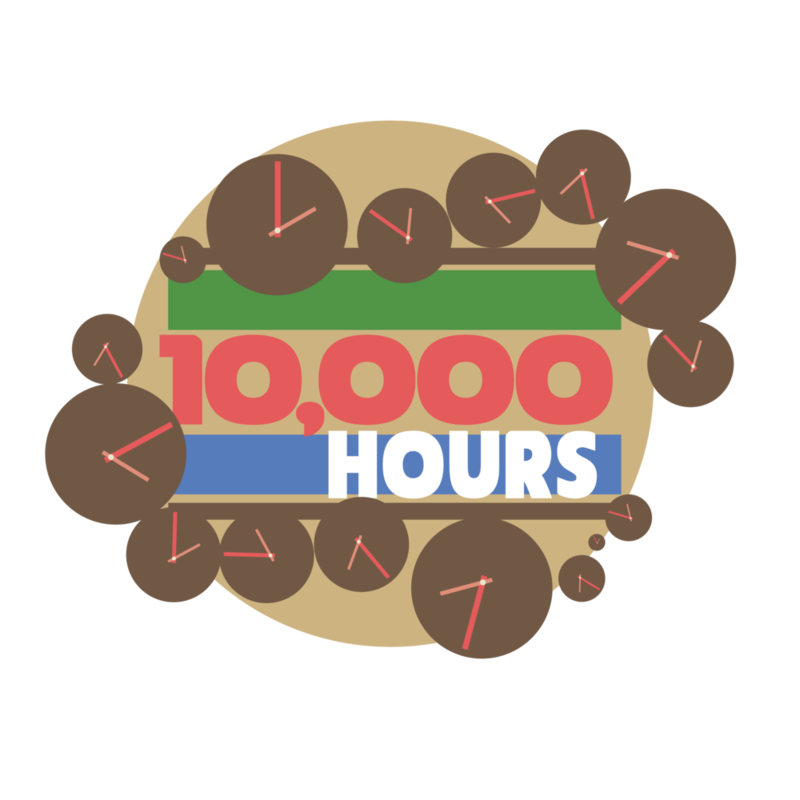 The 10,000 Hours program originated in New York at The Peoples Improv Theater (PIT) and created by PIT House Team ensemble member, Julia Morales in January 2011. The program was created in response to fellow improv students having a desire to practice regularly but couldn't afford to pay for studio space, coaches, and last minute practice group drop outs. Since 2013, the program has been maintained by co-director, Michelle Thomas in New York and the program moved to Chicago in January 2018. How much are the practice sessions? Practice sessions are $3 per person. Cash payments are made on the day of the practice session at the iO box office. Exact change is highly appreciated and encouraged. What does the money go toward? All money for practice sessions goes toward the DiOversity program. This will assist us with creating more opportunities for diverse students with networking opportunities, scholarships, and any other events for the DiOversity program. What if I can't pay the $3? Do you have to be a current iO student to participate in a practice session? Not at all. We highly recommend that you have some form of improv training from any theater. If you're feeling a bit rusty or you want to just play with your friends or you want to put those notes from your teacher to work or you just want to make friends, then this program is a great fit for you! You do not need to be an iO student to participate. Can I take practice sessions instead of paying for classes? Nope. Nah. And NO! Practice sessions are designed to supplement what you learn in your improv classes. Even though you don't have to be enrolled in classes at the time of a practice session, if we find out that you are taking practice sessions to avoid paying for improv classes, you will be asked to not participate in the 10,000 Hours program. What do the practice sessions consist of? All practice sessions will consist of warm ups and performing improv scenes. If you have specific things you want the coach to be aware of, please let them know at the beginning of the practice session. Please remember that these are NOT classes. There isn't a curriculum or focus but we do encourage you to put the notes you received in your classes to work. What are the days and times for practice sessions? Currently, practice sessions are held on Wednesdays, Thursdays, and Fridays from 5-7pm and Saturdays from 10-12pm at iO Comedy Theater at 1501 N Kingsbury St.
Where can I sign up for a practice session? You can sign up for a practice session on our 10,000 Hours Chicago Facebook page. Or you can just click here. Where can I sign up to coach a practice session? You can sign up to coach on our 10,000 Hours Chicago Facebook page. Or you can simply click here. Can I sign up for a practice session on the same day? Of course! Just be aware that if you sign up the day of a practice session, you might not receive a confirmation email. So please be sure to check our Facebook page on the day of the practice session to see if drop ins will be allowed. How do I know if I'm ready to coach a 10,000 Hours practice session? The 10,000 Hours program is not only good for students to get some reps in but for potential coaches as well. Knowing if you're ready to coach is up to you. We encourage those with at least two years of improv experience to sign up to coach. Remember that getting reps with coaching doesn't only make you a better coach but a better performer. Who do I contact if I have additional questions about the 10,000 Hours Chicago program? You can email Julia Morales at 10000hourschicago@gmail or via the Facebook page.